1. 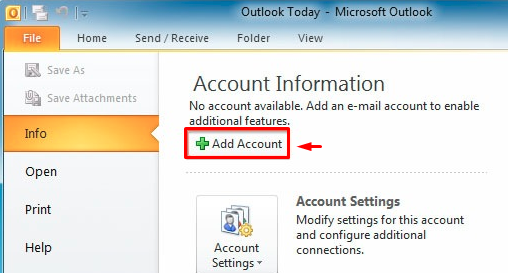 Click on the File tab, select Info, and then click on the Account Settings button and select Add Account. 2. Click on New to add your Hover email address. 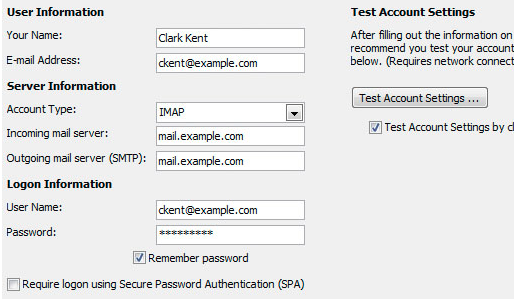 Outlook 2003: Select POP3 or IMAP3 and click Next. 3. Check the box for “Manually configure server settings or additional server types” & then click Next. 4. Put the bullet next to “Internet E-mail” then click Next. 5. Type in Your Name/E-mail Address, Incoming/Outgoing mail servers, User Name/Password & then click More Settings. 7. 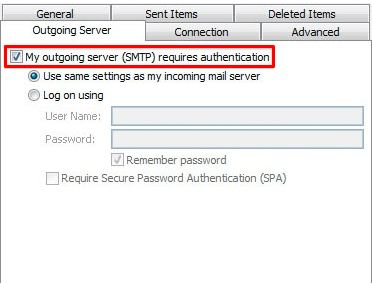 On the Outgoing Server tab put a check mark next to “My outgoing server (SMTP) requires authentication” & then put the bullet next to “Use same settings as my incoming mail server”. 8. On the Advanced tab change the Outgoing server (SMTP) port to 26, change the encrypted connection to None & then click OK. Tick on Leave a copy of messages on server as per your preference. 9. 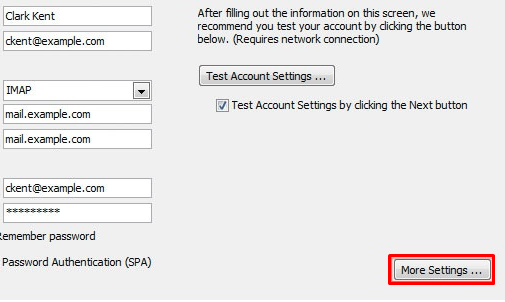 Click on Test Account Settings to test the configuration then Click Next and Finish.